Note:Quebec and Canada continue to pursue parochial and myopic policies that are quite quixotic. It is defending its indefensible asbestos exports despite the damage it does to Canada’s international reputation which far outweighs its economic interests. The dangers of asbestos are now well documented. Most people in the developed world assume that use of the cancer-causing fiber is banned, but that is not true. A recent report by a group of British investigative journalists documents found shocking levels of asbestos still in use throughout the developing world. Two million tons of asbestos was mined in 2009, and half of it was delivered to countries like Mexico and India. 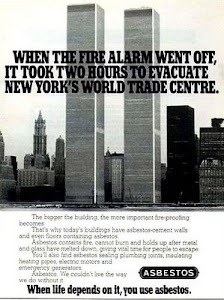 Of course, asbestos use has not been banned even in the United States. Experts agree that any exposure to asbestos is dangerous, but industry and trade organizations that depend on the income from asbestos mining and sale spend millions to convince builders in developing countries that some types of asbestos are safe. 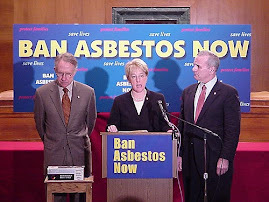 Such a long period of time passes between exposure to asbestos and resulting diseases such as mesothelioma that it might be 40 years or more before the full impact of this deadly deal becomes apparent, particularly in Canada and Russia where it is mined and in countries including India and China where it is used. Asbestos disease, unfortunately, is not a thing of the past. For the full story, go to Huffington Post. Quebec government will guarantee a $3.5-million line of credit for the Jeffrey asbestos mine in Asbestos, Quebec. Now the mine will be able to pump out more asbestos for the next month while it hunts for asbestos investors. The Jeffrey mine is looking for a cash injection of $58 million for a new underground mine at the site. Ironically, The Canadian government recently announced it will spend C$600,000 on two studies at mining sites in the city of Thetford Mines in Quebec, to look at potential waste management strategies. Thetford was one of the world’s biggest asbestos-producing regions, until asbestos dust was linked with cancer and lung disease. Natural Resources Canada said the study “will help determine if post-mining activities can be conducted on the site to minimize waste and transform it into environmentally friendly resources for other uses.” The project falls under the federal government’s new C$8-million green mining initiative, which aims to improve the mining sector’s environmental performance and create green technology opportunities. Who are they kidding? Does the Canadian government think we are naïve enough to believe that anything green and “environmentally friendly” can stem from asbestos? In August, mine owner Bernard Coulombe told The Sherbrooke Record that the Jeffrey asbestos mine faces permanent shutdown if financing by the Quebec government is not granted. According to the Record, Coulombe told Economic development minister Clement Gignac that all he needed was a loan guarantee of $58 million. Gignac agreed in principle to that guarantee, but said the mine needs another financial partner to pay an extra $15 million to the project that was not part of the loan. “The government hired industry auditor KPMG to do an audit of our operation and they stipulated that to complete work on the underground shaft would require special contractors, instead of allowing us to do the work ourselves,” he said. Coulombe said two potential investors, one from London and another from India, will be visiting the premises next month. China already backed out. Poor Coulombe. He says he cannot find other partners because of the negative publicity his fiber has been getting by anti-asbestos critics who want to shut down the industry in Quebec permanently. He argues that the Chrysotile-type fiber is not dangerous if handled properly. The nearly exhausted Jeffrey Mine in the town of Asbestos will resume operations for the month of September in a last-ditch bid to woo foreign investors to a proposed new underground mine at the site. Thanks to a $3.5 million line of credit guaranteed by Investissement Quebec, the Quebec government's investment arm, the insolvent Jeffrey Mine will be able to temporarily resume operations at its existing open pit mine. The company is under bankruptcy protection, and owner Bernard Coulombe said this summer he would have to close the mine on July 1 if Quebec did not guarantee a $58 million loan required to develop the underground mine. But a credit line from the Banque nationale will allow the company to pay its 250 workers for the next month and to supply asbestos to some of its clients. Most importantly, the temporary reopening gives the company a better shot at convincing visiting investors that Canada's controversial asbestos industry has a future. "The reason we are guarantying this line of credit is essentially that the company wants to show its clients they can have confidence in its ability to provide a quality product and to pay its employees," said Josee Beland, a spokesperson for Investissement Quebec. "But the company is also looking for investors (in the expansion project), and they want to be able to show visitors an operating mine," she added. The company will have to repay the $3.5 million by Dec. 31, she said, or Investissement Quebec will be responsible for repaying the bank. 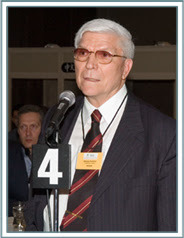 Beland said the recent barrage of letters from medical and scientific organizations around the world condemning Quebec's continued support of the asbestos industry did not cause Investissement Quebec to hesitate in its decision to provide the funding guarantee. "We are a financial institution and the company has requested help to temporarily recall its employees and to supply its clients with their product, but it is up to the government to decide if it will pursue investment in this company and its product in the long term," Beland said. Investissement Quebec is run by a board of directors, but is under the jurisdiction of Economic Development Minister Clement Gignac. A spokesperson for Gignac said the minister had no comment on the issue yesterday. Mine owner Bernard Coulombe was not available for comment yesterday, but he told a local newspaper recently that two potential investors, one from London and another from India, will be visiting the premises next month. He also said he now hopes to have an answer from Gignac's office regarding the loan guarantee by the end of this year. The demand for asbestos is high, especially in developing countries where the relatively cheap, heat-resistant fibre is used to reinforce cement for construction. But the worldwide movement to ban asbestos use has been steadily gaining ground, and frightening away potential investors in the Jeffrey project. The World Health Organization, the Canadian Medical Association and the Association medicale du Quebec, among others, have taken official stands against the continued use of chrysotile asbestos because the fibres cause deadly diseases when inhaled. Quebec exports most of its asbestos to developing countries where its handling is poorly regulated. Across sectors, there is talk of capacity expansion, formation of joint ventures or spinning off businesses into subidiaries where a partner can be brought in. Take Vascon Engineers, an engineering procurement and construction (EPC) company and real estate developer, which picked up a 90% stake for Rs 62.6 crore in Mumbai-based GMP Technical Solutions, a manufacturer of clean room and office partitions. Vascon’s investment is expected to add Rs 150 crore to its topline and Rs 30 crore to its bottomline this fiscal, said managing director R Vasudevan. UB Engineering, the electrical and mechanical construction, procurement and construction company in Vijay Mallya’s UB Group, which marked its foray into the infrastructure sector by establishing a subsidiary—UB Infrastructure — is in the midst of setting up a fabrication unit in Boral, Chhattisgarh. Its initial plans for the fabrication unit were for a Rs 20-crore unit with the capacity to fabricate 12,000 tonnes annually. Now, however, it is weighing the options of doubling the capacity, hence investment will also rise. Indications are that the wholly-owned subsidiary, UB Infrastructure, could bring in an overseas partner that could also pick up a stake. That partner would bring in technical expertise and equity. Meanwhile, telecom and power cables maker (including optical fibre cables) Finolex Cables will invest Rs 60 crore in capacity expansion, this fiscal, besides scouting for a third manufacturing unit. Capex this fiscal will include doubling cable-making capacities at its Urse (near Pune) plant, having already doubled capacities at its Roorkee plant, in Uttrarakhand. The cable and compact fluorescent lamps (CFL) maker is expected to increase capex for the next fiscal to around Rs 100 crore although company chairman, PP Chhabria said the board is yet to finalise investments for the next financial year. Given the rising demand from the power and telecom sectors, Finolex Cables will set up a third cable-making plant which will not be in a tax haven, said Mr Chhabria. Indications are that this greenfield plant will be located in Gujarat, to cater to the demand from northern markets. The Roorkee plant caters to demand from the east while the Urse plant handles the western and southern Indian markets. “We will also expand in Roorkee,” said Mr Chhabria, adding that they expect to maintain year-on-year growth at 30%. “We expect that the Roorkee plant will add Rs 100 crore annually while we expect a 30% year-on-year growth for the company. So, this year, we should be able to achieve a topline of Rs 2,200 crore,” said Mr Chhabria. In 2009-10, Finolex Cables had a turnover of Rs 1,726.6 crore compared with Rs 1,501.54 crore a year ago. Building materials company, Sahyadri Industries, targets growth based on the infrastructure plans that the government has outlined. It is also targeting low-cost housing in rural areas, setting up two new plants. The first of these, a Rs 28-crore greenfield plant near Surat in Gujarat, will be operational before December while the other plant, near Vijayawada in Andhra Pradesh, is awaiting environmental clearance. These plants will manufacture cellulose fibre flat sheets which have replaced asbestos sheets in the building industry. “We have two plants in the Pune region from where we serve the western and southern markets. We now want to grow all-India hence a plant in Gujarat. The Vijayawada plant will make it easier to access the Tamil Nadu market,” said Jayesh Patel, executive director, Sahyadri Industries. Commercial director, SIL, Satyen Patel, added that they will also launch a new product in flush doors, which will be manufactured at their existing plant at Kedgaon, near Pune. 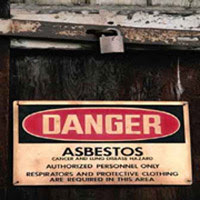 On 27 August, the Supreme Court directed an NGO, which had filed a PIL in 2004 seeking a complete ban on use of asbestos in the country, to respond to the allegation against it of having links with an overseas steel company. A bench comprising Chief Justice S H Kapadia and Justice Swatanter Kumar asked the NGO Kalyaneshwari to file an affidavit in this regard. 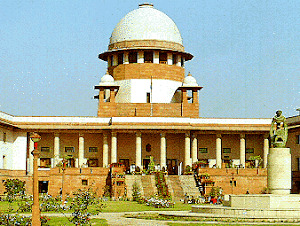 Earlier, on August 13, the Supreme Court had asked the government to examine the allegations against a Kolkata-based NGO having connection with a private overseas steel company. During the hearing, advocte Krishna Mani, appearing for the NGO, submitted that the government may take action against it but the issue of use of asbestos in the country is very genuine and should be heard by the court. "What action may be taken against the NGO should be taken, it should be taken but the issue is genuine and it should be heard by the court," he said. The NGO has come under the scanner of the apex court after it was told that the Gujarat High Court had passed an adverse remark against it by saying that the NGO was not a genuine litigant working in public interest. "We would like to know from the Centre whether the petitioner NGO is in the list of the NGOs maintained by it and being funded by it," the court had said. It had also asked Additional Solicitor General Haren Raval to look into the issue and issued a notice to the NGO saying that "it will examine the case in detail". The court asked the government to examine the allegations against a Kolkata-based NGO having connection with a private overseas company. The NGO which filed a PIL in 2004 seeking a complete ban on use of asbestos in the country, has come under the scanner of the apex court after it was told that the Gujarat High Court had passed an adverse remark against it by saying that the NGO was not a genuine litigant working in public interest. "We would like to know from the Centre whether the petitioner NGO is in the list of the NGOs maintained by it and being funded by it," a Bench comprising Chief Justice S H Kapadia and Justice K S Radhakrishnan said. It asked Additional Solicitor General Haren Raval to look into the issue and issued a notice to the NGO saying that "it will examine the case in detail". The Bench made it clear that for the time being it was not arriving at any decision and would like to hear the NGO. When the matter was called for hearing, senior advocate Colin Gonsalves informed the bench about the Gujarat High Court order which had on December 9, 2004 made observations indicating that the NGO had some connection with a company. The Bench expressed concern and asked "how can we control this type of situation"? "Is it funded by the government? Why it should be declared black listed?" the Bench said asking the Additional Solicitor General to find out whether the NGO was being funded by the government or not. After pointing out the issue, Gonsalves and other advocates, appearing for the NGO, sought permission of the court to withdraw from the matter, which was allowed. While economic liberalisation has bestowed immense gains on the country by way of the information technology and mobile revolutions, upgraded highways and townships and superior medical facilities, loosening curbs on trade in hazardous material and waste and mining has proved detrimental for the environment and health. As the dispute over unregulated mining in tribal belts and fragile eco-zones persists, civil activists and human rights groups have intensified resistance to the use of asbestos despite the technical ban, imposed in the mid-1990s, on mining of chrysotile asbestos. Now, it is primarily imports from Canada and elsewhere that sustains the estimated Rs 4,000-crore industry in India. The pro-asbestos business lobby is reported to be pressurising policy-makers to lift the ‘technical ban’, which denies renewal of mining leases. This material is universally known to be a health hazard, with a special propensity to cause cancer. However, when the bottomline is profit, health and human rights concerns become peripheral. At a meeting convened by the Ministry of Mines four months ago, mine owners from Rajasthan, Jharkhand and Andhra Pradesh are said to have tried hard for reversal of the prohibition. Sources reveal that such mining goes on even now in Rajasthan in a limited way. Jharkhand’s mines apparently are exhausted. Though it has a plethora of uses, asbestos is deployed mainly in low-cost housing; vehicles (brake lining and brake shoes); to make water supply pipes; in fire-proofing; and sound-proofing. Canada, Russia, Kazakhstan, Brazil, China and some other countries are the main producers of the material. Opponents of the proposal ascribe the Rajasthan Government’s turnabout on the issue, revoking the earlier demand to lift the ban on mining, to a conflict of interests, related to white asbestos importers. The use and mining of brown and blue asbestos is completely banned in India. The prevailing ambivalence among policy-makers is indicated by a recommendation of the Indian Bureau of Mines that the ban be lifted as health hazards could be dealt with. British toxicologist John Hoskins reportedly dismisses the risk entailed by asbestos use as “unimportant”, compared to “risks on road, the risks of food poisoning — risks in developing countries, particularly of dirty water and poor sewage facilities”. This line of reasoning is forcefully rebutted by human rights activists such as Mr Gopal Krishna of Ban Asbestos Network of India and Toxic Watch Alliance. A missive sent on behalf of BANI, dated June 19, to the Quebec Government Office in Mumbai, Consulate General of Canada, protests against the Quebec Government’s move to give a huge subsidy to the asbestos mining industry in Canada, with health consequences for developing countries like India. Significantly, to quote from the letter, “Canada exports the cancer causing fibre to India but prefers not to use it domestically… in 2007, Canada exported almost 95 per cent of the white asbestos it mined, and out of it, 43 per cent was shipped to India”. Sadly, the Hazardous Waste (Management, Handling and Trans-boundary Movement) Rules, 2008 contains a proviso that facilitates movement of “asbestos containing residue”, which, as hazardous waste, “may be transported, treated and disposed of”, as per the rules. Yet, under these rules, import or export of waste asbestos is banned. Available data indicates that India was the third largest market for this fibre in 2008. As demand for asbestos grows, opponents fear the outcome in terms of its impact both on people and nature.